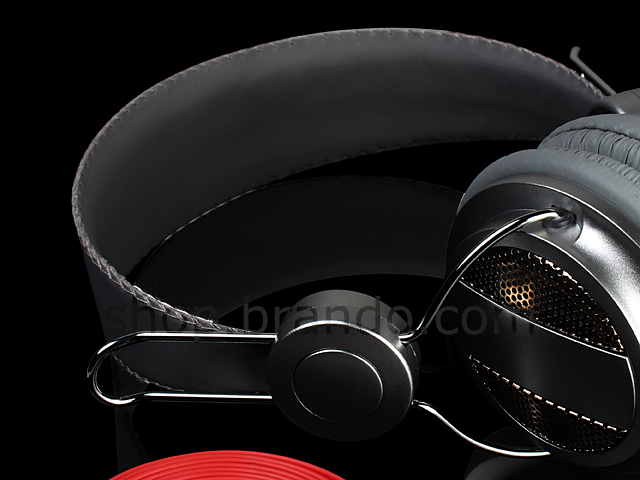 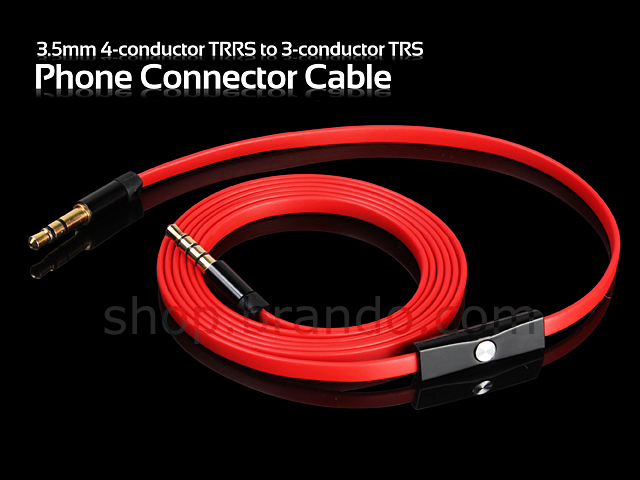 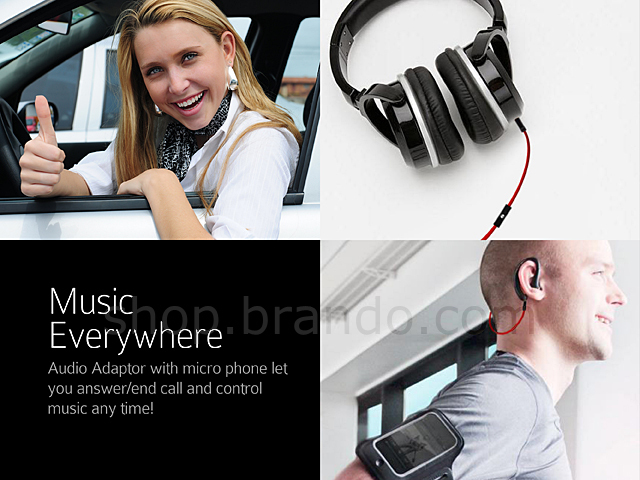 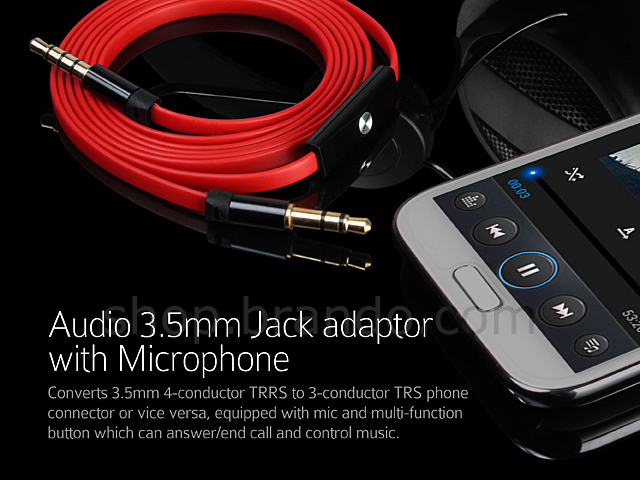 Converts 3.5mm 4-conductor TRRS to 3-conductor TRS phone connector or vice versa, equipped with mic and multi-function button which can answer/end call and control music. 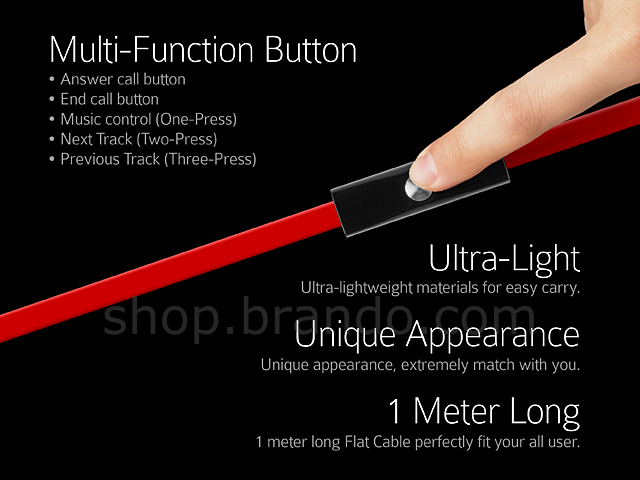 1 meter long Flat Cable perfectly fit your all user. 3.5mm 3-Conductor TRS phone connector - Earlier versions of the iPod used a 3-conductor (TRS) phone connector. 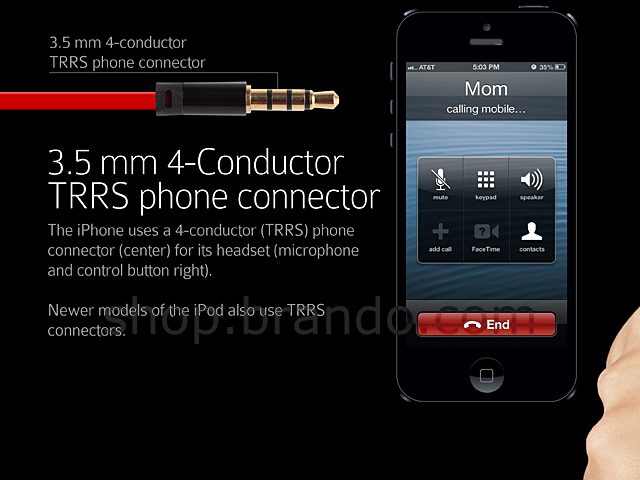 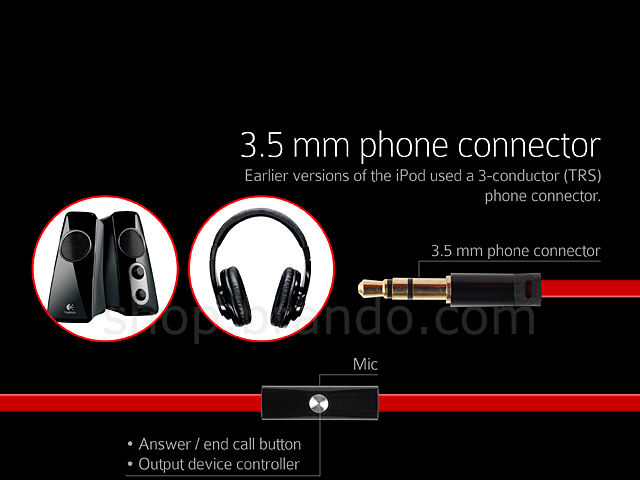 3.5mm 4-Conductor TRRS phone connector - The iPhone uses a 4-conductor (TRRS) phone connector (center) for its headset (microphone and control button right).